PAVS, the Pembrokeshire Association of Volunteer Services, have to use desk top roller banners for their new project - Pembrokeshire Time Bank Network. Our desk top roller banner printers were delighted...	Read more..
Buttylands Manor asked our Pembrokeshire website designers and developers to create a modern website to reflect there new and improved facility's. The first thing that the web designers did was create...	Read more.. The secrets of getting your website the top of Google in Pembrokeshire are simple when explained in plain English. Call us today to arrange your free, no obligation consultation. An experienced...	Read more.. The Fishguard & Goodwick Chamber of Trade have just had 5000 maps printed by us for their members. The maps are for giving to visitors to the town to find...	Read more.. When Celtic Quest Coasteering were looking for leaflet designers in Pembrokeshire they came to Modern Print & Design. The brief was to create a striking design featuring the strongest pink...	Read more..
You can now get desk top roller banners in Pembrokeshire at Modern Print and Design. These roller banners are just the same as the big floor standing ones but much...	Read more..
Pembroke Docks PSM International Fasteners Ltd have sent us the following message - "Thought I would let you know that our CEO is here from America & he was impressed with the...	Read more..
Good news everyone! Chris, our website designer is going to be back in work on Monday following his course of Chemotherapy for MS. Chris has already undergone one coarse of this...	Read more..
Tenbys’ Beachcomber Guest House Love Their New Business Card Design! The owners of the Beachcomber Guest House were over the moon with there new business card design. So much so that they sent us the following email - "WE LOVE...	Read more.. The government has announced big changes to its Making Tax Digital for business proposals: In the beginning it will only apply for VAT. VAT registered businesses will be forced to...	Read more..
Computer stationery or continuous stationery as is is more often called is a good way for you to print your invoices in bulk. Basically they come with little sprocket holes...	Read more..
Begelly Beads were delighted with their new Pembrokeshire website and have just sent the following message to our designers who created it for them - "I have just had my first order...	Read more.. Recommend A Friend & Get A £50 Voucher! 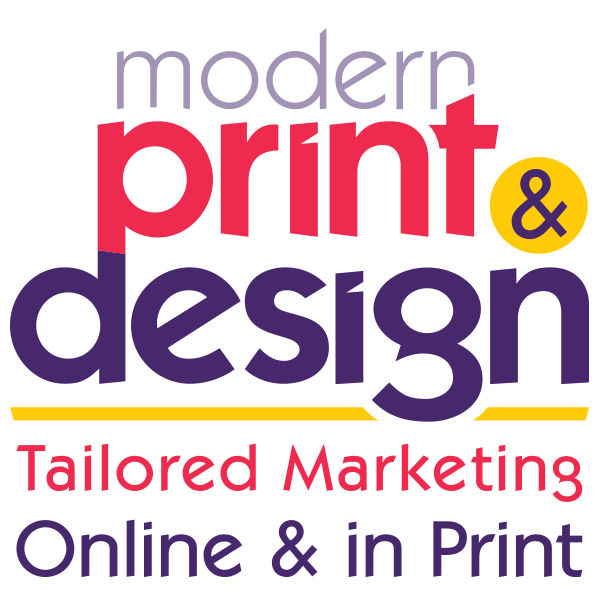 Every time you recommend a friend to Modern Print & Design and they order for the first time, you will be given a £50 voucher that you can spend on...	Read more.. Camper Van Escapes Pembrokeshire chose our website designers to create their new site which is now going live. A website that promotes their VW camper van hire business. The brief...	Read more..
Internet users quickly flit from one topic or website to another, so if you are going to keep them on your website long enough to become a customer you need...	Read more..
Thermography, or raised ink printing is a simple way to add class and elegance to your printing. Indeed, thermographed letterheads, business cards and invitations are wonderfully tactile with raised ink...	Read more..
Pembrokeshires 'Real First Aid' needed a very tough small leaflet that could fit into a wallet whilst not being too bulky. What's more, it had to hold a lot of important...	Read more..
Pembrokeshire Chilli Farm asked Modern Print & Design to create a logo and brand for their new range of Pembrokeshire made and grown chilli sauces. During their design briefing the designers...	Read more..